Swarovski Elements 5928 Becharmed Helix in Crystal Silver Shade with a 4.5mm stainless steel core. This fantastic, sparkling addition to the Swarovski collection features an interesting geometric design that will make your bracelet sparkle. Compatible with most brands of large diameter, European charm bracelets and necklaces including Pandora, Chamilia, and PerlaVita. 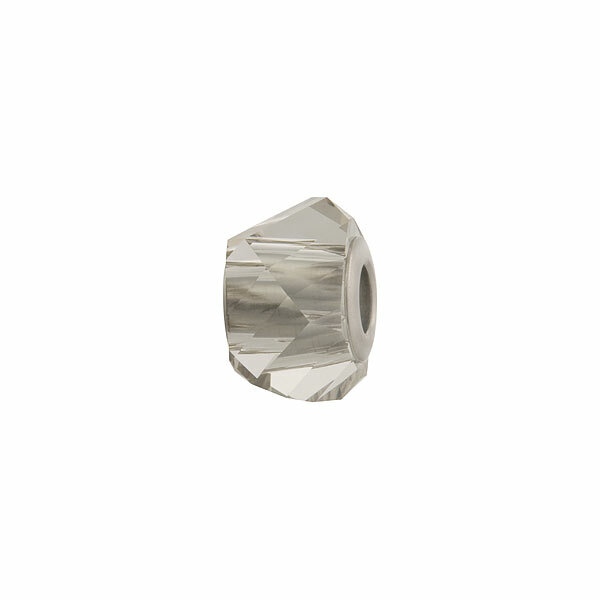 The un-threaded core allows for it to be easily slipped on to your existing bracelet. Also try it with large diameter leather cord. Approximately 14mm in diameter and 9mm wide. Sold individually.